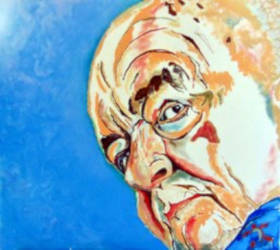 The Portrait of a Senior Territorian Art Award recognises outstanding Northern Territory artists and celebrates the significant achievements and contributions by senior Territorians to our community. 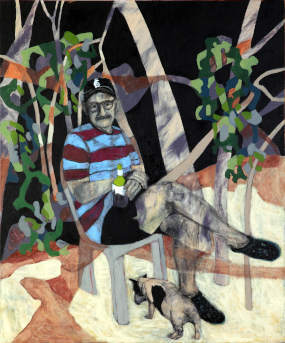 Dr Al Strangeways is the winner of the 2018 Award with her portrait titled Hills: Kathleen Wallace and the Dancers. 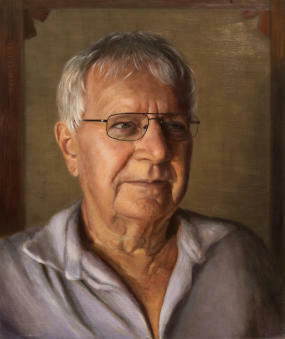 Dr Al Strangeways wins the 2018 Portrait of a Senior Territorian with her portrait titled Hills: Kathleen Wallace and the Dancers. 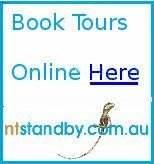 Ms Wallace, who features in Hills: Kathleen Wallace and the Dancers is an eastern Arrernte elder, teacher and internationally respected artist who has lived in her homelands her whole life. Born in a remote area, she was kept away from mission and stations until severe drought and the encroachment of station activities on traditional hunting and gathering led her to being taken to Santa Teresa Mission as a teenager in the 1950s. Since the late 1960s, Kathleen and her husband have raised 30 children. 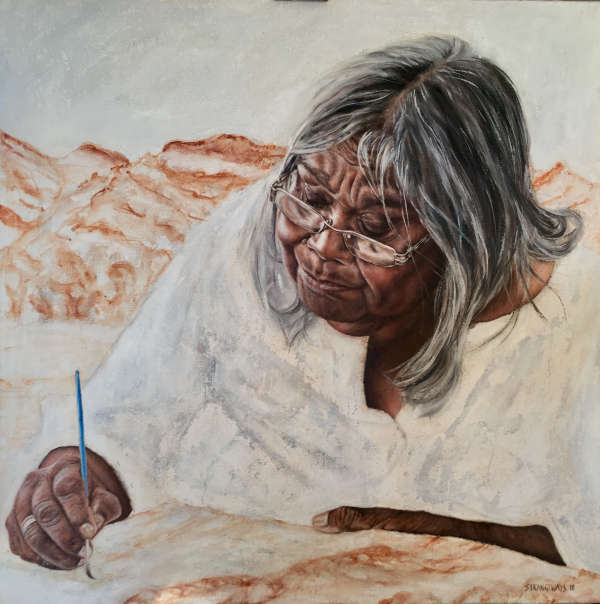 Throughout her life, she has maintained the Arrernte knowledge and worked hard to honour her responsibility to ensure it is handed on, especially through storytelling and painting. Ms Katalin Hörömpó was awarded second prize. 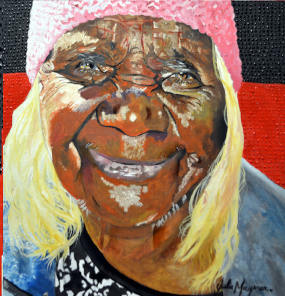 The judges’ criteria included technical expertise, originality, effectiveness in capturing the personality of the subject, effectiveness in capturing the Territory’s identity, culture and history, contribution to the legacy of NT art and the Portrait of a Senior Territorian, as well as their personal response to the work. 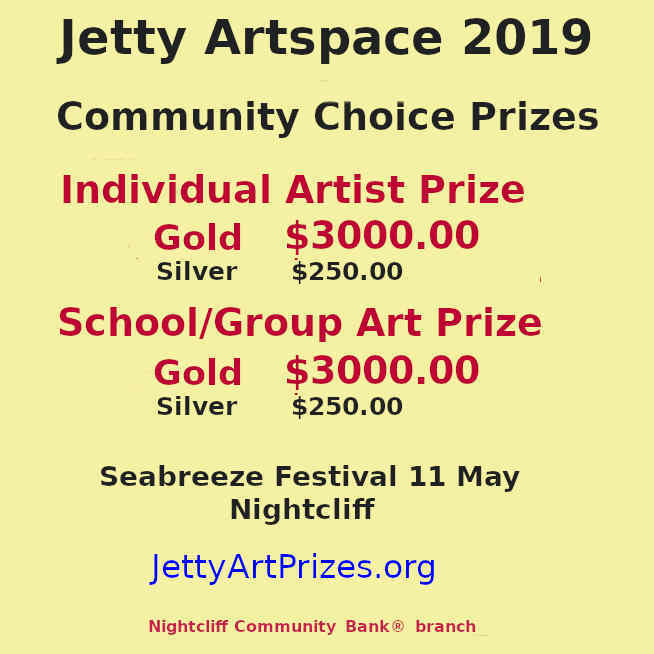 See some of the winners from previous years here.